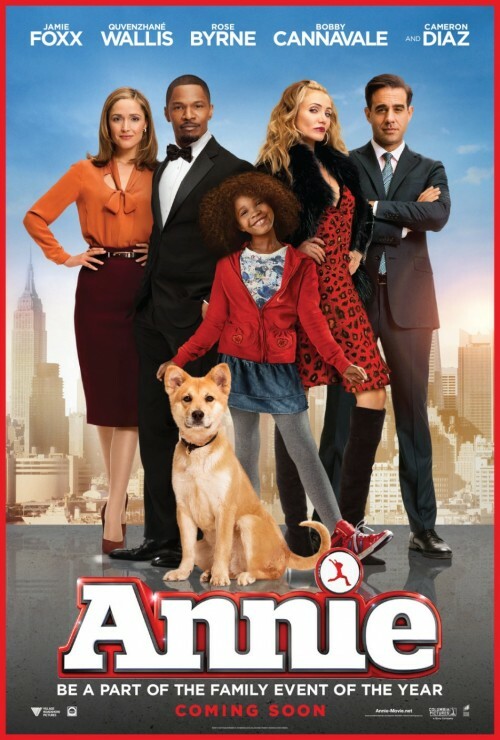 With a release date bumped forward to the dead end of the year, the remake of Annie now gets a poster. Popped into the same slot for award season hopefuls, December. That month is quite crowded this year. With The Penguins of Madagascar starting the month, followed by the last part of The Hobbit trilogy, then with this film and Ridley Scott’s biblical epic, Exodus: Gods and Kings ending the year with a Boxing Day release. Moving the release date forward is a good thing. The bad thing is, unfortunately, the poster. As a modern poster, it’s as good as the others I have seen. On the other hand it is, almost, in the same league as The Expendables 3 for the attack of Photoshop. With a cut and past look as well as a job on our stars faces that makes them look like they took the models from Madame Tussauds and re-positioned them. It’s mostly dome on Jamie & Cameron’s faces. It makes Cameron’s face almost unrecognisable. It took me a couple of looks to figure out who she was! Now let’s compare it to the classic 80s version poster. That film also had an amazing cast with Albert Finney, Carol Burnett and Tim Curry. 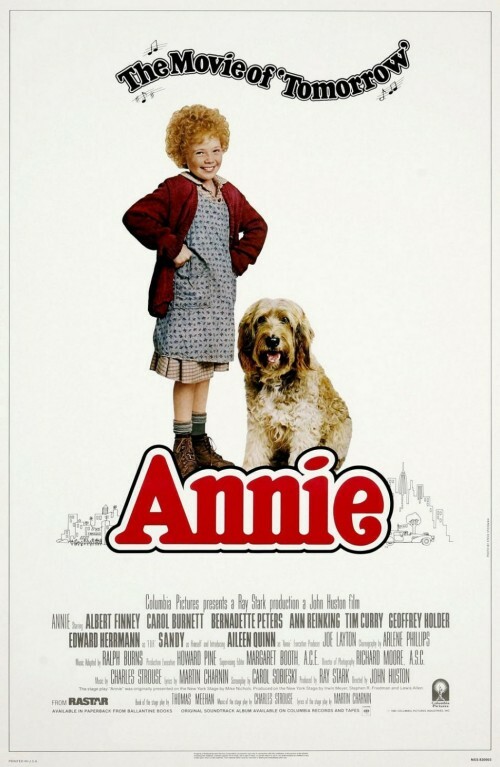 All we see n the poster is Aileen Quinn, Annie, and her dog. Simple and eye-catching. The new one tries to emulate that style but by putting the main stars in it, it overburdens the poster. There, probably, be a set of Character posters that will, hopefully, mimic the classic poster. Academy Award® nominee Quvenzhané Wallis (Beasts of the Southern Wild) stars as Annie, a young, happy foster kid who’s also tough enough to make her way on the streets of New York in 2014. Originally left by her parents as a baby with the promise that they’d be back for her someday, it’s been a hard knock life ever since with her mean foster mom Miss Hannigan. But everything’s about to change when the hard-nosed tycoon and New York mayoral candidate Will Stacks – advised by his brilliant VP, Grace and his shrewd and scheming campaign advisor, Guy – makes a thinly-veiled campaign move and takes her in. Stacks believes he’s her guardian angel, but Annie’s self-assured nature and bright, sun-will-come-out-tomorrow outlook on life just might mean it’s the other way around.